Are We Birkin Up The Wrong Tree? The iconic Hermes Birkin handbag is said to be a worthy investment, outperforming gold and the S&P 500 in investment returns and stability. CSI Prop investigates how this bag holds up against brick and mortar. 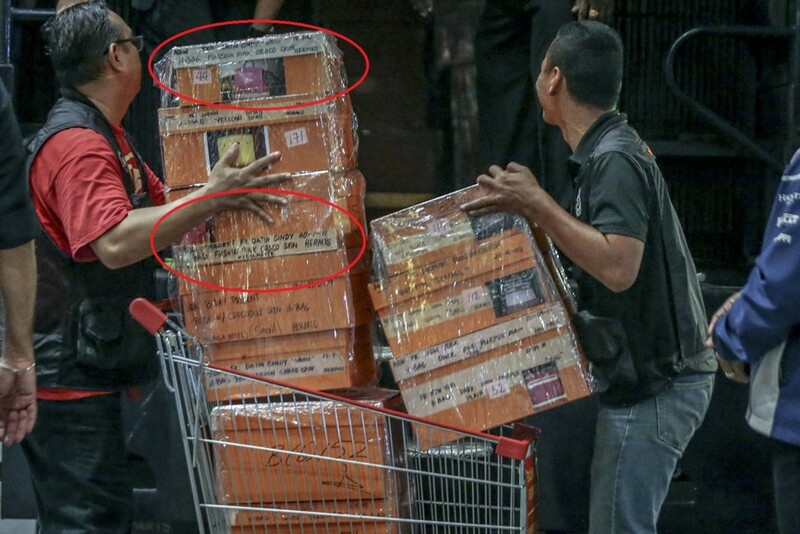 So the Birkin smashed the almighty Box Office of Buzzwords a few days ago when a raid at one of former Malaysian PM Najib Razak’s residences uncovered the haul of the century: 284 boxes of luxury handbags, a good number of which were in the signature Hermes orange hue. The former PM’s missus, as the entire world probably knows by now, is a huge fan of the Birkin. Word on the street is that a rare, record-setting Hermes Birkin could be among the 284 handbags seized during the raid. The purse, which has white gold and diamond hardware, fetched an eye-watering $221,755 at an auction in Hong Kong in 2015 — the most expensive bag sold at auction at the time. One wonders if Datin Sri Rosmah’s collection could give Victoria Beckham a run for her Birkins (note: Mrs B apparently has 100 Birkin handbags). Especially since a New York Times article reportedly quoted a broker’s estimation of Datin Sri Rosmah’s Hermes Birkin collection to be worth at least US$10 million. Whatever the rumour, it looks like the cat’s finally out of the handbag…err, bag. So, what has a handbag got to do with property, you might ask. Here’s our cheeky comparison between bag and brick — after all, both are investments in their own right and share many similarities. Or do they? You decide. It takes Hermes artisans a minimum of 5 years training before they’re allowed to independently create a Birkin. The artisan makes a Birkin by hand from start to end, a process which takes possibly up to 48 hours. A house, however, takes a good many months or years to complete, requiring the skill of experts from various fields in order for it to withstand way more than a huff, a puff and a blowing down by the Big Bad Wolf. Birkins are expensive because they are scarce, with only 200,000 bags in circulation around the world. One cannot simply buy a Birkin without a purchase history at the store or knowing someone who has bought a Birkin, before getting on the wait list. Property prices are also governed by the rule of demand vs supply. The UK is experiencing a critical undersupply of homes, and the government is facing challenges in achieving its goal of building 300,000 homes a year to even out the demand-supply balance. This continues to push property prices upward, making it increasingly difficult for first-time house buyers to get on to the property ladder. Oh, and for the record, you can’t own a property just like that either — you need to clear checks by the regulators first. Think AML, bank loan approvals, that sort of thing. The price of the humblest Birkin starts at around $12,000. It could go all the way up to more than $200,000. That’s the price of a house in some parts of Petaling Jaya, according to a report in The Star. Property is expensive, too; the greater the undersupply, the higher the price. Take Melbourne property as an example. AUD$500,000 could likely get you a landed property, but we’re talking some 16km away from the city centre. For AUD$550,000 you may get a 2-bedroom apartment in the stylish Palladium Tower apartments in Melbourne CBD, but apartments in this part of the city, at this price, is becoming a rare find (call us if you’re interested; we can hook you up). According to research by Baghunter, the price of the Birkin had risen by an average of 14.2% since its launch, outperforming traditional investments such as the S&P 500 and gold markets. 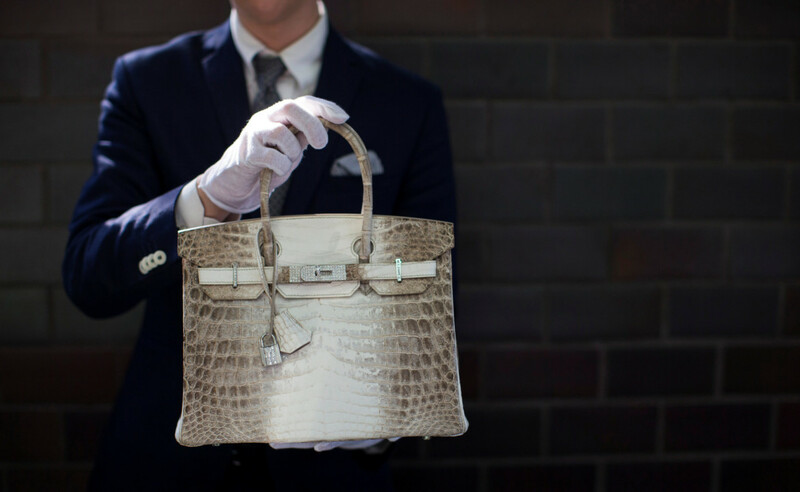 A Himalaya Birkin handbag made from the albino Nilo crocodile hide with white gold and diamond hardware and auctioned in 2014, was reported to cost as much as a 2-bed/2-bath apartment in the heart of Brisbane! Interestingly, Savills predicts that property in the UK will grow by 14.2% over the next five years in spite of Brexit-related uncertainty. One might argue that this was a drop from the 28% price growth between 2013 and 2018 but, hey, that was during the good times. Like, pre-Referendum. We remain confident that the UK will recover after a spell of uncertainty following Brexit in 2019. In Australia, meanwhile, the average price of a property in Melbourne had increased by more than 6-fold from A$142,000 to A$943,100 today! And we haven’t even talked about rental yields yet! Investment in the UK commercial property sector such as purpose built student accommodation and commercial care homes, can fetch handsome yields of up to 9%! Of course, all said and done, one can debate that you could bring a Birkin anywhere and show it off to anyone, while a property is most ‘inconveniently’ tied to the location in which it is built. OK, that’s true but, hey, you can’t live in a handbag, can you? Birkin worshippers will probably have more compelling reasons why the Birkin makes a fantastic investment, and naysayers would have equally compelling arguments for rebuttal. 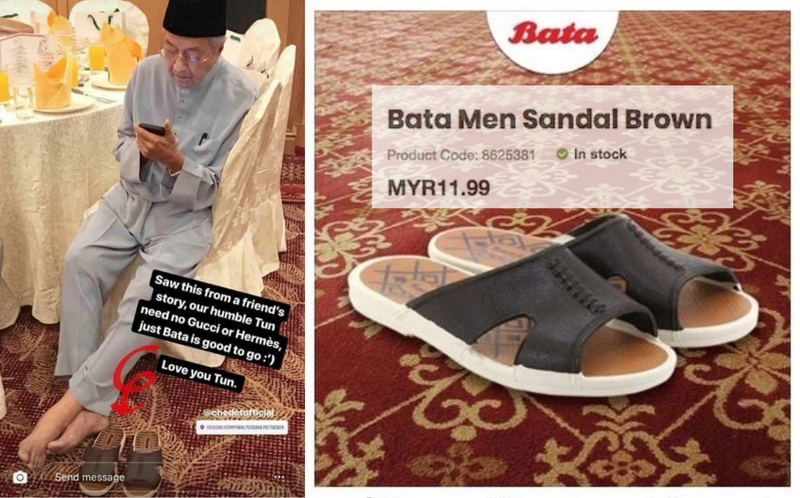 Perhaps we could all put ourselves in the shoes (or sandals) of the current Prime Minister and think on how to have a bata (better) management of our finances. What are your thoughts? Share with us in the comment box below. Or if you think your money is better spent on property investment, give us a call at 03-2162 2260! Don’t be birkin up the wrong tree now! READ Are British Accents A Reflection of the UK Housing Market?